On January 18, a judge dismissed a lawsuit brought by two CCH Law Project clients, arguing that the city of Chicago had unlawfully discriminated against homeless people when it redesigned the sidewalks under the Wilson and Lawrence viaducts in Uptown in order to prevent them from sleeping there. The city demolished the encampments so it could convert the sidewalk space where they resided into bike lanes, and made no effort to provide permanent housing to the people they evicted. Through our new campaign, Bring Chicago Home, we hope city officials focus on adequately funding support for people experiencing homelessness, rather than concocting ploys to purge them from public view. 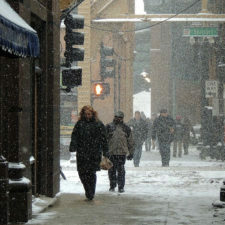 Chicago officials have promised extra outreach and shelter capacity to assist homeless people, knowing they face life-threatening conditions in harsh weather. It's proving a stark reminder that, as a prosperous city, we must do something substantial to end the homelessness that impacts more than 80,000 children, youth and adults in Chicago. Working with shelters, the city plans to add about 500 extra shelter beds this week, 13% more than usual capacity, DFSS officials tell CCH. Applications are due in April for $2,500 renewable college scholarships awarded by the CCH Law Project to four students who have succeeded in school despite coping personally with homelessness. 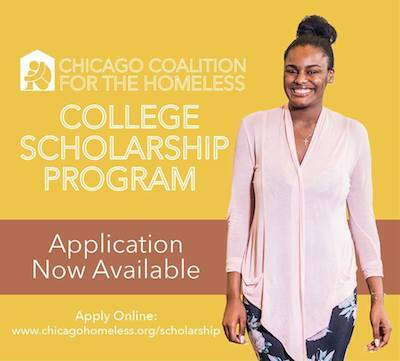 Graduating seniors from Chicago and suburban schools are eligible to apply, as well as CCH youth leaders and former legal clients who are younger than age 24 as of April 1. Most scholarship winners receive $10,000 to complete their bachelor's degree.